In this realm, over 8 out of 10 people will join with another person in marriage at some point in their lives. It is therefore no wonder that weddings are a fairly common occurrence. In light of this, is there anything that Wayfarers need to do or be aware of in the course of preparing for a wedding? A wedding is a great opportunity to exhibit the character of the King's way, which we follow. In each of the many details that surround a wedding, there is an opportunity to glorify the King, who has so kindly provided us with amnesty, which allows us to build joyful lives of hope and purpose. The first thing to be considered, after a Wayfarer has found a travelling companion with which to walk throughout life, is the list of guests invited to the happy occasion of coming before the King and making a covenant to walk all the days of our lives together. The guest list for a Wayfarer's wedding should consist entirely of those who will honor and assist in the fulfillment of the promises we make before the King. A wedding is not a business conference or a theatrical performance put on for the entertainment of those in attendance. Therefore, the guests should all be people we want to witness our vows, people who will be likely to support our marriage and nudge us toward our spouses rather than away from them in the rough times, because we know there will be rough times. Marriage is important to the King and distasteful to the leaders of the rebellion. 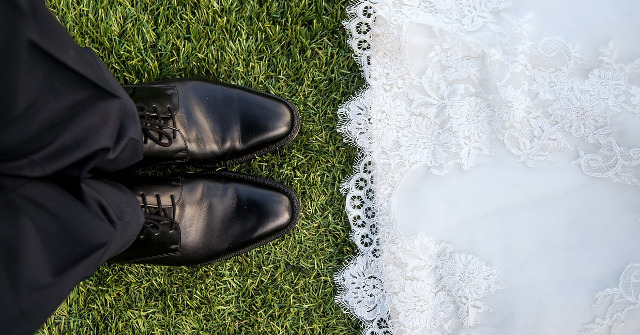 With this limiting of the guest list to people who care about the bride and groom, and about their marriage, the second concern becomes much easier: Avoiding needless expense and waste. Having a small guest list helps in lowering the expense of the wedding, but there are other things that need to be considered. Wayfarers should avoid wasting food. For example, it has become common for many couples to smear pieces of cake on each other's faces. Not only does this dishonor the King's representatives, but it is wasteful. Another example is seeing that the leftover food is consumed rather than being thrown away. Wayfarer couples should be mindful that an enumeration of gift preferences is intended to ensure that gifts match each other, not to be a blank cheque with which to feather their nest in a manner it took their parents and grandparents decades of effort to attain. They should approach it as though their friends and relatives mentioned they wanted to buy, for example, a set of plates, and asked which color to get. And they should be humble and modest in the selection of gift suggestions. A gift registry ought to include only those things the couple thought people were likely to get anyway, which need to be a certain style to match the rest of the household, not those things the couple wishes they had but couldn't justify buying even by saving up for them. Has not the King instructed Wayfarers to avoid thinking of themselves more highly than they ought? Wayfarer couples should examine every part of their wedding to make sure that it honors the King and his son, the Prince. A good example of this is when the bride carries a book of the King's words with her to the altar. Another is to honor the King, the Prince, and the Spirit of the realm when placing the ring, touching the thumb, index, and middle fingers before settling it on the ring finger. After the wedding, one tradition falls to the guests for whether they behave in a manner fitting to a Wayfarer wedding: the throwing of things over the newlyweds. Ideally, what is thrown should be grains of wheat, as was the earliest custom. But even if it is birdseed (rice can be harmful to wild animals), the important thing is that it be thrown up over the heads of the couple, not at them. It should go without saying that tampering with the newlyweds' carriage should be minimized and not include anything potentially dangerous. Through all these things, and any others that may come up, the Wayfarer couple (along with their kith and kin) should seek to honor the King in all they do and avoid any practices that aggrandize themselves or involve the breaking of the King's laws. A wedding is a solemn covenant, not a theater production. It is a celebration of the opportunity the King has given the couple for unity and new work, so it should be an occasion for joy, but it is not an event put on for the purpose of entertainment.